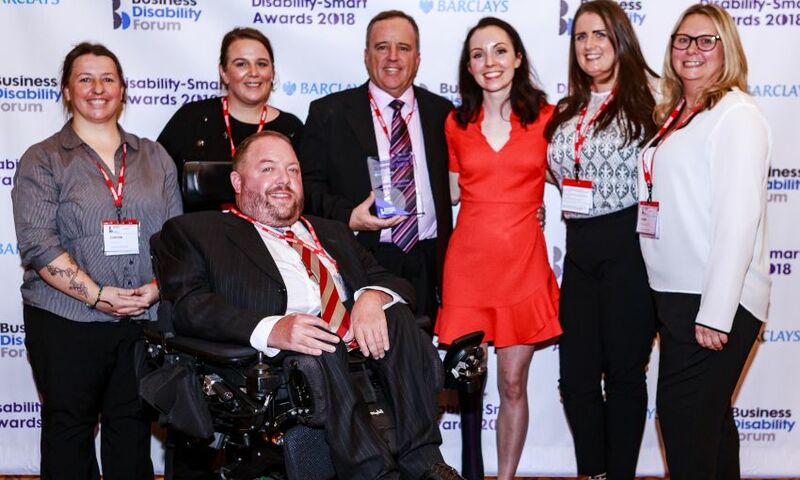 Liverpool FC was presented with the Disabled People's Choice Award at the Business Disability Forum Disability-Smart Awards 2018 last week. Held at the Foreign and Commonwealth Office in London, the annual ceremony recognises and celebrates businesses that have demonstrated exceptional and innovative practice, helping to transform the lives of disabled people in the workplace and in society. The Disabled People’s Choice Award is given to an organisation that has been an outstanding employer, has provided the most inclusive and accessible customer experience or has created positive change for disabled people. Simon Thornton, diversity and inclusion manager at Liverpool FC, said: "We’re delighted to have won this award, most importantly because we’ve been nominated by our fans. "We want all supporters to enjoy their time at Anfield, and our accessibility team work extremely hard to ensure that we have the measures and facilities in place to make that happen. "Creating lasting memories through positive, inclusive experiences is something we’re very passionate about - so it’s fantastic to have been recognised in this area."